Did you know that your tires count among your vehicle's most crucial safety features? As the point of connection between your car and the road, your tires need to be in excellent shape to help you stay safe as you travel around the Omaha area. Since safety has always been a Volvo Cars priority, we highly recommend turning to our Volvo dealership for all your tire needs. 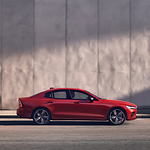 The crew at Gorges Volvo Cars are happy the new Volvo S60 is here on our lot, and here are a few reasons why. Once you get behind the wheel of your Volvo S60, you won't have to worry too much about traffic in hard to see areas behind you any longer. This vehicle comes with the Blind Spot Information System, and it uses radar technology to scan behind you to identify anything in your blind spot. Your side mirror flashes a warning if it is not safe to change lanes. For some people, it is not enough to just have powerful sound and extreme experiences with the sound system. There are a lot of factors that come into play in bringing about the best sound experience in the vehicle. 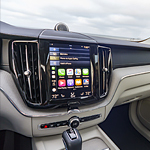 The 2019 Volvo XC60 has features that can bring about the best possible sound in the vehicle for the people inside. 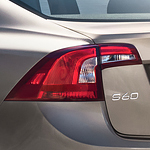 The Volvo V60 Inscription is a one of a kind car for many reasons. For starters, it is one of the only sport created wagon on the market today. Secondly, it was created by Swedish individuals who know how to introduce luxury to the community. The alloy wheels are almost 20 inches, and there is chrome trim all around the car. There are also LED lights in the front and back. These stay on during the day and at night, and they are perfect for turn signals, too. We here at Gorges Volvo Cars are very proud to show off the new Volvo V90. 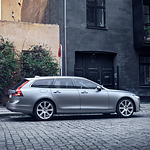 This popular luxury wagon is available with some great safety features that'll keep you safe on the road. One of the most advanced features you can get is Adaptive Cruise Control. This system uses cameras and radar to monitor your surroundings at all times. It's very similar to conventional cruise control systems. However, unlike traditional versions, this system runs on highways and on Omaha streets. It can be activated anytime you're traveling over 18 MPH. The Volvo S60 R-Design is one of the most popular all-wheel drive (AWD) sports sedans on the road today. 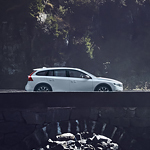 That is why our friends at Gorges Volvo Cars located right here in Omaha could not be more excited about the arrival of the all-new 2019 model. What Makes the Volvo S90 Momentum Stand Apart From its Rivals? 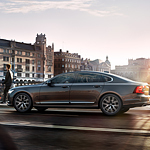 Is the Volvo S90 Momentum trim on your list of potential purchases? At Gorges Volvo Cars serving Omaha, we think this trim is an outstanding model and is popular with consumers at our dealership. To give you an understanding of what it has to offer, we have summarized a few of its features below. To keep your rear seat passengers comfortable, the Volvo Momentum S90 trim comes with an additional 4.5 inches of rear seat leg room than other luxury sedans, such as the Audi A6, the BMW 5-Series, and the Mercedes-Benz E-Class.